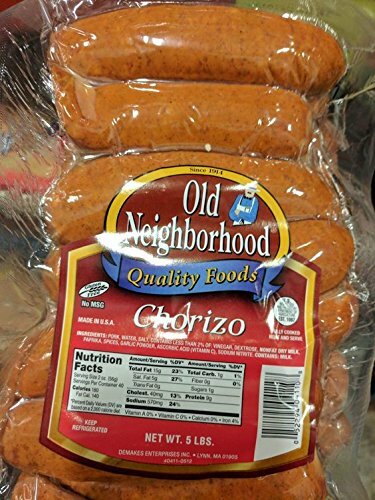 Grab a 5 lb pack of Old Neighborhood Chorizo for all your sandwich needs! Great chorizo product!!! Our Mexican chorizos are made with lean meats, no fillers, and a blend of complex spices. Their flavor balance and overall quality make them perfect for traditional and contemporary applications. If you have any questions about this product by Old Neighborhood, contact us by completing and submitting the form below. If you are looking for a specif part number, please include it with your message.